The island is surrounded by a fantastic coral reef that harbors colorful fish and has ensnared scores of shipwrecks, making for memorable diving and snorkelling at spots like Elbow Beach in Paget Parish. Elsewhere, the crystal-clear waters of Southampton Parish provide perfect conditions for kayaking and yachting. The offerings on land are splendid as well. You can play a round at a world-class golf course, hike peaceful trails and sunbathe on glorious pink-sand beaches. 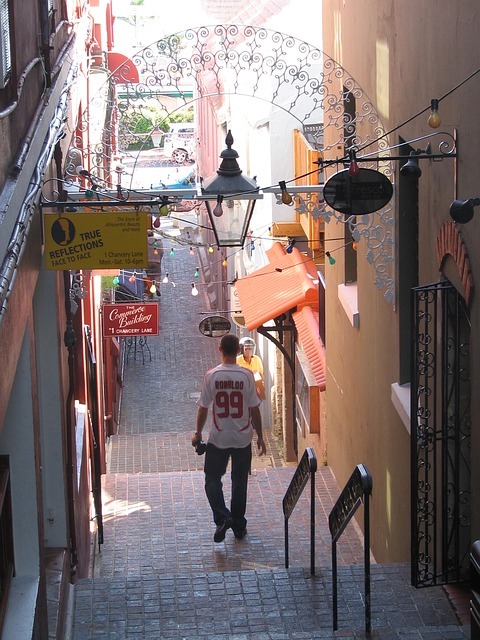 Or stroll the crooked streets of the colonial settlement of the Town of St George, Britain’s oldest surviving town in the New World, which is so well preserved it’s been made a World Heritage site. Fort Hamilton is a substantial Victorian fort with a panoramic view of Hamilton Harbour. It is one in a series of fortifications built in the mid-19th century during a period of rising tensions between Britain and the USA. The ramparts are mounted with 18-ton artillery pieces (to date unused) capable of firing 400-pound (181kg) cannonballs through iron-hulled vessels. Located nearby is Clarence Cove, a popular little beach that forms part of Admiralty House Park. Paget is a delightful park that provides the perfect departure point from which to study the island’s flora. It is a fragrant haven of exotic subtropical plants, flowers, and trees. Some of the highlights of this 36-acre paradise include the palm garden with native palmetto trees, the subtropical fruit garden, a garden for the visually-impaired which features scented plants, a ficus collection, and a flowering hibiscus garden. In addition, there are greenhouses with orchids, bromeliads, a miniature forest, an aviary, and a variety of flowering houseplants. The white house on the grounds of the Botanical Gardens is Camden, the official residence of Bermuda’s Premier. The house is open for tours, except when official functions are scheduled. Somer’s Wharf is a tastefully redeveloped area on the waterfront with a selection of shops and restaurants. The Carriage Museum has a collection of well-maintained carriages ranging from a dog-cart to a four-horse brake that ruled the roads until as recently as 1946 when cars were legalized. Situated nearby is Tobacco Bay, a good spot for swimming and snorkeling. The world’s smallest drawbridge links Somerset Island to Bermuda’s main island. The section that flips up is only two feet (60cm) across, just wide enough to allow a sailboat mast through. At the center of the island set in nine hectares (22 acres) of parkland is Fort Scaur. It was built during the American War of Independence to protect the Naval Dockyard and is now a great picnic spot with good views of the island. Somerset Long Bay, with its 600ft (183m) of brilliant-white sand is the largest and best of the island’s west side beaches. If you’re accustomed to shopping in Neiman Marcus, Saks Fifth Avenue, and Bergdorf Goodman, the prices in Bermuda’s elegant shops won’t come as a surprise. Designer clothing and accessories, from MaxMara to Louis Vuitton, tend to be sold at prices comparable to those in the United States, but without the sales tax. Crystal, china, watches, and jewelry are often less expensive here and sometimes even on par with American outlet-store prices. Perfume and cosmetics are often sold at discount prices, and there are bargains to be had on woolens and cashmeres in early spring, when stores’ winter stocks must go. The island’s unforgiving humidity and lack of storage space means sales are frequent and really meant to sweep stock off the shelves. 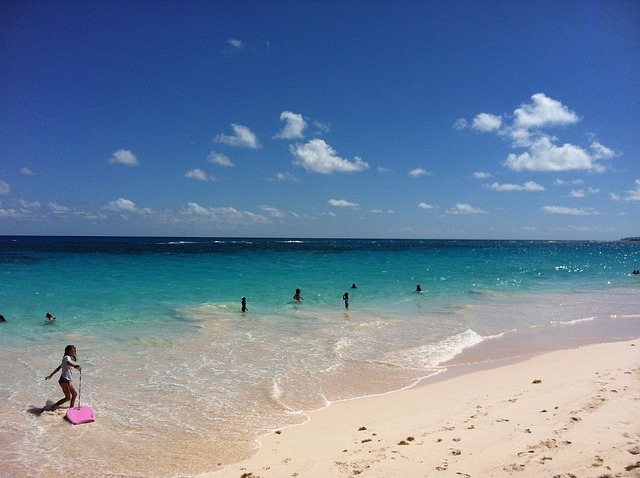 As one of the leading beach resorts in the world, Bermuda is best known for its pink sand beaches. The pink powdery sands were created by the powerful waves of the Atlantic Ocean, which crush the shells of tiny red crustaceans and form the sand of the iridescent beaches. The island is divided into nine parishes, and each has beach space. Some parishes have more public beaches, while others feature more exclusive oceanfront property. Many of Bermuda’s beaches are privately owned by resorts, so check with your hotel and find out if it has private beach property. Different coastal areas on the island have different features. Beaches on the island’s northern shores offer picturesque beach-front scenery, as well as great spots for families and secluded ocean side property. So you can enjoy a quiet walk on the beach or exciting water sports with the kids. What’s incredible about the Bermuda restaurant scene isn’t so much the number or high quality of restaurants, but the sheer variety of ingredients and cuisines represented on the menus, especially considering that Bermuda is such a tiny, secluded place. The island is host to a medley of global cuisines—British, French, Italian, Portuguese, American, Caribbean, Indian, Chinese, Japanese, and Thai—palatable reminders of Bermuda’s history as a colony. Many superior, well-funded independent and resort restaurants attract a constant and steady stream of internationally acclaimed chefs, assuring that the latest techniques and trends are menu regulars. At the same time, virtually all restaurant menus list traditional Bermudian dishes and drinks, so you have the opportunity to taste local specialties at almost any meal. If you plan to stay seven days or less, look into package tours that include both airfare and hotel, as they often work out more cheaply than buying the airfare and paying for the hotel separately. Although it’s not heavily advertised, many tour operators can also create individualized ‘package tours’ for stays of longer than seven days – so even if you’re staying for a couple of weeks, this may be an option to explore.